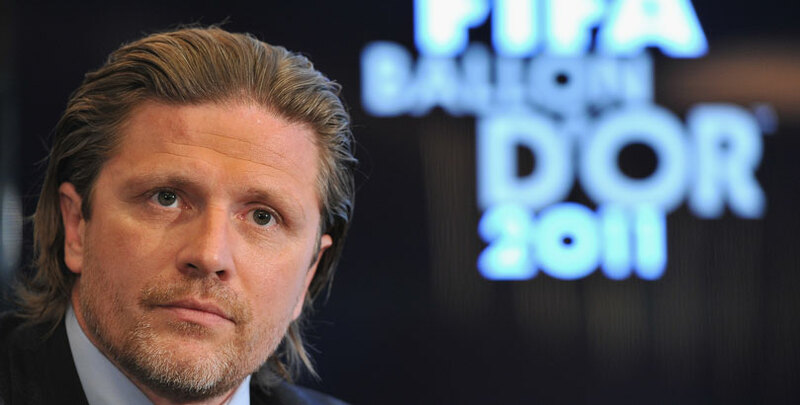 Emmanuel Petit got his wish for an Arsenal win in the FA Cup final in the first part of our exclusive interview with the former France international. In the second segment, we discuss the state of the France national team, hear his thoughts on the Gunners and French football, talk about the pressure of being a manager at Barcelona and Real Madrid as well as collect his thoughts on the Champions League final. Your thoughts on the young French players trying to make it in the Bundesliga. The likes of [Kingsley] Coman and [Ousmane] Dembele? Coman has been interesting. He didn’t play a lot in the last few months but it is difficult at the top clubs like Bayern Munich, plus he plays in the same position as Arjen Robben which doesn’t make life any easier. I think he has done a lot of good things this season and next season I am sure we will see a lot more from him. With Dembele, it has been different as he has been a big hit for Dortmund. I think he has improved a lot since he left Rennes. Most of the time in France, you have a lot of talented young players so it’s no surprise to me to see them go into the national team. But a lot of the time when they go abroad and they have the chance to sign for big clubs their mentality changes. This change in mentality helps you become a better player and Coman and Dembele are learning this all the time. Coman isn’t in the latest national squad but Dembele is. 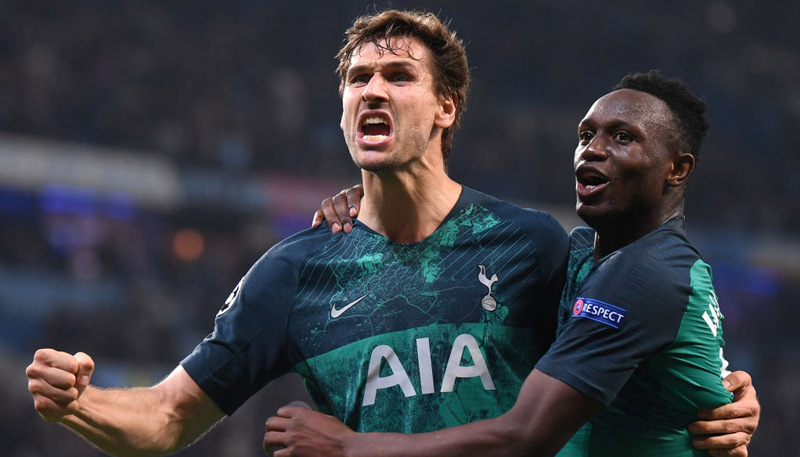 I think they will both become a threat to Moussa Sissoko, who hasn’t played much for Spurs this season and I don’t see that changing next season. Dembele has a chance in this World Cup year to go past Sissoko. France have so many options in midfield and up front and Didier Deschamps has a real luxury of options. The very best players get to play in 3-4 World Cups if you are a top, top player but if you only get to play in one then you really want to put yourself in the shop window. Manu, we are now going to ask a few questions on German players. Per Mertesacker’s contract at Arsenal was renewed in January but how do you view the Gunners’ handling of the club captain? He was a great defender in his prime but I feel like his best days are behind him. He isn’t in the physical shape to play every single game and can’t cope with the demands of three games in a week. He must control his fitness all the time, which is why he’s retired from the national team to prolong his club career. Can he be the leader that Arsenal are currently missing? I don’t think so. I think [Laurent] Koscielny is the best person for this role and that he will grow into this role next season. Is Shkodran Mustafi good enough for Arsenal? Do you see him having a long-term impact at the club? I feel Mustafi must bring more to the team in terms of displaying leadership and in developing as a defender alongside Laurent Koscielny. Koscielny is a top defender and I think if Mustafi can step up on the level as Koscielny then maybe they will have a solid base. Arsene [Wenger] and Arsenal will need to be in the market for a defensive central midfielder and some central defenders this summer as for me at the moment Mustafi is not at the same level as Koscielny. He has made a lot of mistakes in the Champions League. He lost his mind against Bayern Munich and went mad at [Hector] Bellerin. I was so frustrated watching that at home on TV. He’s had an OK season but you should be able to expect more from a World Cup winner. With PSG spending money this summer, do you think Monaco will be able to retain the league title? It has been a very difficult season for Paris St-Germain. Losing like they did to Barcelona in the Champions League was an earthquake to the heart of the club. The message you sense from afar was a bad sign, they lost the game against Barcelona mentally. [Unai] Emery has had a very difficult first season at PSG and I am sure this summer they will spend some serious money, especially now the FFP restrictions have been lifted. When you look at the last two transfer markets for PSG, they spent £150 million in both and for what? To win the national cups? That’s not enough for the ambitions of the owners. This was not a successful season for PSG. I’m pretty sure they will bounce back next season. They will try to regain the league. They will come back with anger, with new players into the team, because it was not a successful year on the pitch. It was not a successful year also outside the pitch. It’s been a headache all season at Paris Saint-Germain with the behaviour of players like [Serge] Aurier. Emery needs to have a comeback like Laurent Blanc did after his bad season. He needs to adapt to a new club, a new language I get it, but with the team he has. Come on. He needs to do better than that. Look at [Jose] Mourinho, [Pep] Guardiola, [Carlo] Ancelotti, [Zinedine] Zidane. All these guys take big jobs and there is no transitional period. They arrive and are expected to deliver titles immediately. When you play for big clubs there is no transition, it’s the same for managers. That’s why Emery needs to do better. There was no authority this season. It has been missing. When players’ behaviour is wrong, you are out of the team, on the transfer list. This didn’t happen at PSG this season. How do you think Luis Enrique will be remembered at Barcelona? Being a manager at one of the world’s biggest clubs nowadays is like living in a washing machine. You wake up in the morning with a headache and you sleep at night with a headache. The pressure is very hard but it’s not a bad world. We are well paid, we’re famous, everything is OK. The pressure is high but no-one is forcing you to do the job. If you’re not happy with that, then you can quit. Enrique is one of the few managers to quit, they usually hang around waiting to get sacked. This is the same with [Jurgen] Klopp at Liverpool, Slaven Bilic at West Ham, Emery at PSG and [Leonardo] Jardim at Monaco – the expectations are high. Physically, this is very demanding. When you’re a manager, you can see the transformation physically. With Enrique, every time I look at him on the bench, he looks very tired. Psychologically and mentally as well. The difficult bit for him was announcing he would quit at the end of the season in mid-season. Maybe by saying that he wanted to put pressure on the players because they weren’t performing every single weekend. It’s like they’re choosing the game to perform in every single time. I was disappointed with Barcelona’s season. I think Enrique was at the end of the road. He was tired physically and mentally. 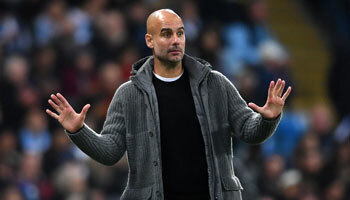 I think he wanted to take a break, just like Guardiola and Laurent Blanc. Sometimes you need to take a year out. You need to refresh mentally when managing a team every single day. When you have to communicate with your players after you lose a game with the pressure from your fans and the media, it’s very difficult to handle that. As well as that, you put aside your private troubles, your family issues, then all of a sudden, it becomes a nightmare very quickly. When you manage a club like Barcelona, it’s very demanding and after two to three seasons you have had enough. You cannot stay like this; you need a rest. In regards to Neymar and Lionel Messi, they are talked about coming to play in the Premier League. Do you think there will be regrets if they don’t come to England? I would love for them to come to the Premier League. The Premier League is the best league in the world. However, at the moment we don’t have the best players in the world. We have some of them. If the best players come to the Premier League, then that will be very good for the league. 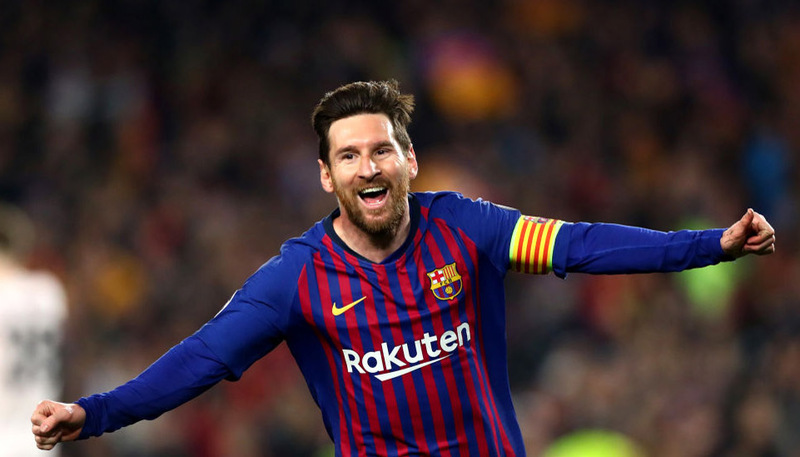 The season for Messi and Neymar has been stressful as well on the pitch and outside the pitch due to the tax evasion stories at Barcelona and I think that was very difficult and the pressure for them because it’s not just about football, we are talking about tax evasion, a very serious issue nowadays. Their image has been impacted and Barcelona not winning the big titles this season is not a surprise to me as they have had the tax evasion distractions. They are important to Barcelona’s success. Before you come to the pitch, you are a human being. Forget about Neymar the football player. When it comes to the pitch, if there are struggles in the dressing room, there are struggles on the pitch. Mentally they were not clear enough to perform the way they used to perform all the time. Messi will bounce back – he’ll look at [Cristiano] Ronaldo and want to match that level. Last season he played in the Copa America in Argentina and he didn’t get a rest. It has been a very long season for players, even for the European players with Euro 2016. It has been a long long season for the very best players . We are talking about manager being tired on the bench but a lot of top players here are finishing the season very tired as well. With France next year, it will be 20 years since you won the World Cup in Paris. Is this French squad good enough to repeat what you did? Is it realistic? I think it’s realistic and we are getting closer to that level year after year. We lost in the final to Portugal last summer and that was a close game. The young players are improving as well and this is good for the national team. I am talking about [Antoine] Griezmann, [N’Golo] Kante, [Raphael] Varane, [Tiemoue] Bakayoko – this is all good news for France. Not many teams will want to play against France. I think we will be difficult to beat in the next World Cup. We haven’t qualified for it yet but we’re in a good position. I think we will qualify. We need to improve in terms of the technical link between lines, linking midfield and attack. We need to improve how we defend together because each team likes to play good technical football and sometimes when we lose the ball we leave gaps. When you play against average teams it’s OK. But when you play against good teams it can be very difficult to defend, we’ve seen that against Spain where we lost 2-0. That’s the only game we have lost since Euro 2016. I cross my fingers we won’t get any injuries to players. But we have good options in midfield and attack should we get injuries. Who’s the most important player in France at the moment? The spine of the team is key – [Hugo] Lloris, Koscielny, Varane, Kante. People forget in England that Kante is not first choice for France at the minute. For the moment, Deschamps prefers a system where Kante is not first choice. One of the big problems we have solved is at full-back. For a long time we had old full-backs like [Bacary] Sagna, [Patrice] Evra etc but now we have the likes of [Djibril] Sidibe and [Benjamin] Mendy coming through which is really good for the national team. They are powerful, physical and box-to-box, which will help the defensive shape of the team. We have a very strong spine. We perhaps miss a No 10 – a playmaker behind the strikers, for when Deschamps doesn’t want to play with two strikers. People talk about [Karim] Benzema but I don’t see him returning until after Deschamps has left the job. Plus we have [Dimitri] Payet, Coman, Dembele – there is so much choice. Competition for places in the squad will be very competitive as 50% of the places in the squad are still up for grabs. Regarding the Champions League final, you played with Zinedine Zidane in the World Cup final in Paris. Did you think he was going to be a manager and are you surprised how well he’s done so quickly? I’m of course surprised – being the manager of Real Madrid is not an easy job. Winning LaLiga at Real Madrid is not easy. They change managers every two seasons a lot of the time. What he’s doing at Real Madrid is amazing, he has charisma. Even when your name is Zinedine Zidane, it doesn’t mean you’ll get the support from the dressing room. The name will get you respect but after a couple of weeks the players will test you, they will question your decisions. They will try and fight your authority. The way he managed the team and the turnaround he’s brought about is incredible. Before Zidane, some managers tried to rest Ronaldo but they couldn’t as he wanted to play every game. Zizou has convinced him he should play the games he can to really help the team. Then he goes and scores a hat-trick against Atletico in the Champions League semi-final! It didn’t work as well with Ancelotti and [Rafa] Benitez – when they tried the players didn’t listen and fought the authority. Zidane has communicated in a smooth way, he’s a natural. It was a surprise when he won the Champions League last season – I wanted to see how he’d cope with LaLiga over the course of a season. If Zidane could win the Liga regularly, that would be more important to me than the Champions League and he’s done it in his first season. The week in, week out test of that league is the real test of a manager. Being an ex-Barcelona player but friends with Zizou, who do you support, Real Madrid or Juventus in the final? I have respect for both clubs but for one player in particular I would love Juventus to win the Champions League – I want them to win it for Gigi Buffon. This guy, I love him. He’s such a great example to the younger generation. How he handles himself as a player and a person. To me he’s one of the greats, like Xavi, [Andres] Iniesta, [Andrea] Pirlo, [Xabi] Alonso at Bayern Munich, those who you never hear from, they let their football do the talking. Then when they do talk, they are intelligent, educated and speak with a pure love of football. For this reason, I want Juventus to win for Buffon.